Experience Vancouver Island and the Sunshine Coast through 444kms/275 miles of coastal touring. Circle your way around the Salish Sea with four ferries, connecting dramatic west coast landscapes, quaint seaside towns, and the aboriginal history of those who have been here for millennia. It’s time to go on a road trip. Imagine all of the arts, culture, and outdoor recreation BC has to offer, all rolled up in one 180km stretch of coastline. It’s a tall order to be sure, but the Sunshine Coast has risen to the occasion. 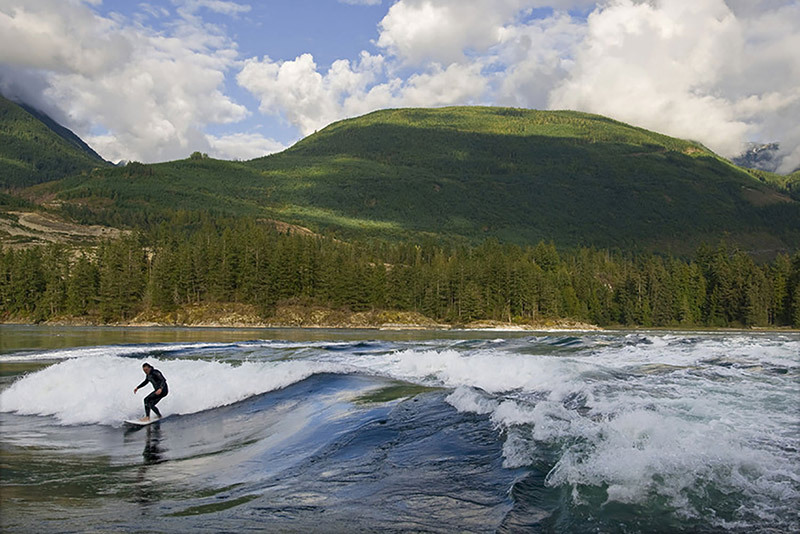 From rock climbing to world-class mountain biking and paddling, to a showcase of authentic local artisans and a thriving First Nations culture, the Sunshine Coast in its entirety is your one-stop-shop for everything Super Natural BC. Shop, stroll, and dine, all against the backdrop of stunning views of Howe Sound and vistas of the coastal mountains – this is Gibsons Landing. Charming stores, art galleries, and restaurants/cafés line the Landing, complete with Winegarden Waterfront Park – the perfect place to sit in the sun or take a panoramic picture of the harbour. Roberts Creek, located between Sechelt and Gibsons is the perfect place to make a pit stop. The Gumboot offers excellent farm-to-table food options, and is just a short walk away from sandy Roberts Creek Beach. Grab some food to go and walk down to the beach where you will find the community-painted mandala and Roberts Creek Pier. Highway 101 wraps this beautiful bit of shoreline just south of Sechelt. Walk along the seawall, build a sandcastle, or enjoy the pier- a favourite spot to catch the sunset. Venture across the street for a coffee & gelato, or stay awhile for tasty fish n’ chips and a local craft beer. If you want to visit a true water-centric community, Pender Harbour is a must. For divers, boaters and paddlers, Pender Harbour offers unrivaled experiences, and the harbour is vibrant, beating heart of the community. Nearby hiking opportunities are plentiful, and the area hosts unique annual events such as a blues festival, longboard races, and boat building competitions. The tidal rapids at Skookumchuck Narrows are famous for their spectacular whirlpools, standing waves, and for their attraction to extreme kayakers and divers. “Skook”, as it is affectionately named, is one of the great whitewater wonders of the world, attracting thrill-seekers from across the globe. Visitors can hike to the rapids view the tidal event year round, but be sure to check the tide tables when planning your trip. Designated as a National Historic District in 1995, Powell River Historic Townsite is one of only a few professionally planned, single-industry towns dating from the early modern period in Canadian town planning. Townsite is remarkably intact, with over 400 original buildings contained within the original borders of the 1910 town plan. Welcome to the end of the road: Lund, BC is the northernmost town on the Sunshine Coast and also Mile 0 of Highway 101. This seaside village is the epitome of small town vibes, playing host to boaters on their way to Desolation Sound, road trippers reaching the terminus of Highway 101, and those who made the trip just for a famous blackberry cinnamon bun or a pollen sweater. 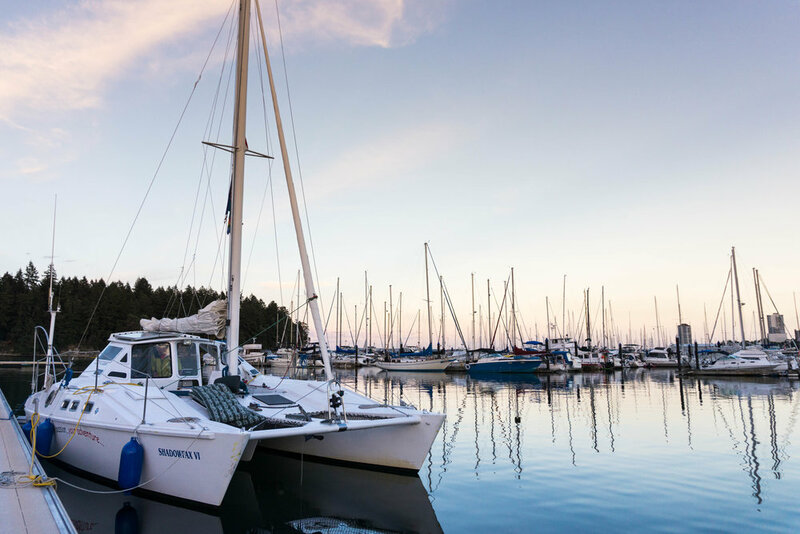 Boat, drive, or cycle here to enjoy Lund’s charm and to access Desolation Sound Provincial Park, the Copeland Islands, the Sunshine Coast Trail, and 'tropical' Savary Island. Nanaimo’s outdoor playground is unparalleled. 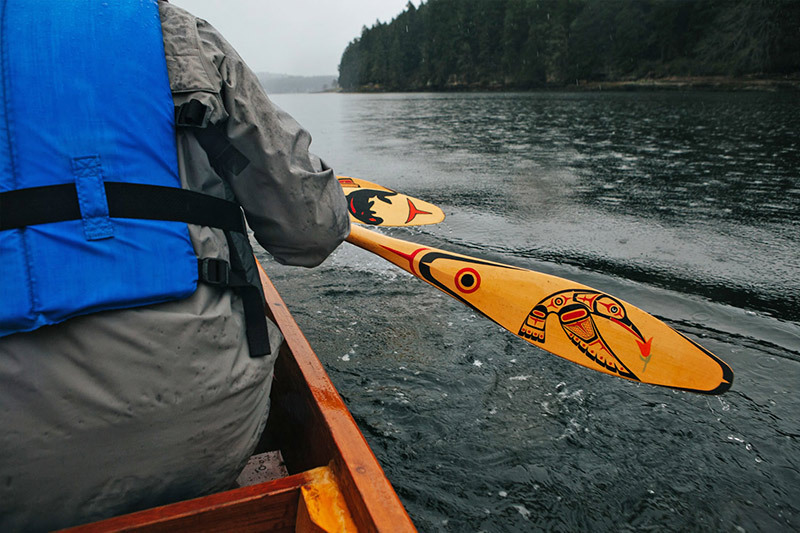 Located in the heart of Vancouver Island, this harbour city opens the door on 360 degrees of adventure: paddle the calm waters of more than 18 lakes in and around Nanaimo, then set your nautical compass for Newcastle Island (Saysutshun), traditional land of the Snuneymuxw First Nation. Stand tall after climbing 1,000 meters to the peak of Mount Benson, and feel the immensity of the full circle view. The thrill-seeking travellers surmount heart-pounding challenges with adventure courses, bungee jumping and zip-lining through the tree-tops. It’s the many options from sea to sky that attract visitors to Nanaimo, where pedals push you over trails and the soles of your boots take you down to the base of rainforest waterfalls. Yet all will find the stillness to rejuvenate when kicking back on the beach to watch the ferry dock, or enjoying a cold handmade beverage at one of 4 craft breweries. Sample Nanaimo’s culture, history and unique way of life – play hard, relax well and enjoy beauty in 360 degrees. 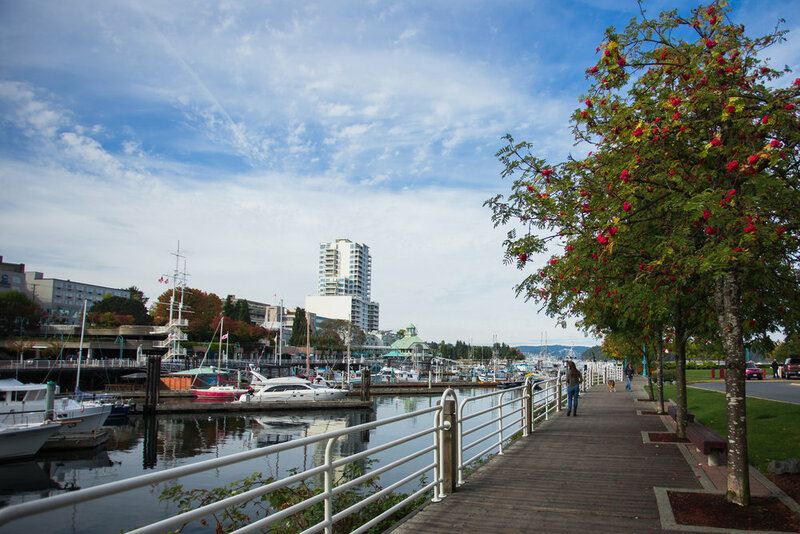 Experience the essence of Nanaimo – stunning views and outdoor adventure as you walk along the shoreline, over rugged rocks and pebble bay beaches and through the winding trails of Garry Oak groves. Bring your camera, this is a photographer’s delight. A stunning walk through Benson Creek Falls Regional Park will bring you to Ammonite Falls, Nanaimo’s hidden gem. See it in all 4 seasons and take in the breathtaking view of rushing waters named for the fossils that inhabit the stacks of rocks hidden behind the water. Head out on the water at Brechin Boat Ramp for a sunset kayak; your vessels are waiting for you at the Boat Ramp. Spend the afternoon strolling the shops of the Old City Quarter. Beautifully restored heritage buildings now house upscale boutiques – clothing, food, gifts, chocolates and more – and restaurants. Stop for a Nanaimo Bar, our iconic dessert, at any of our delicious cafés. Catch the ferry from Maffeo Sutton Park to Newcastle Island, Saysutshun, traditional territory of the Snuneymuxw First Nation. 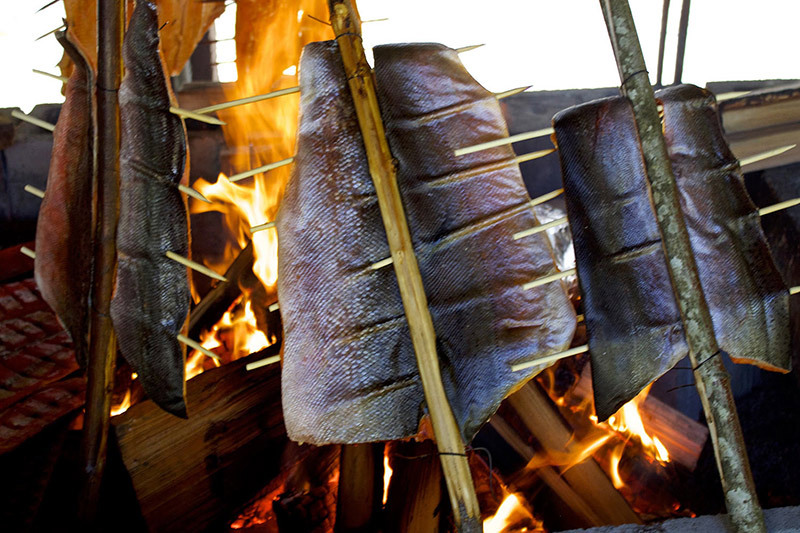 Buy lunch at the Saysutshun Bistro, like smoked salmon and bannock, and enjoy a picnic amongst the trees or on the beach in this beautiful park. While Parksville Qualicum Beach may be best known for amazing sandy beaches that stretch for nearly a kilometre at low tide, there’s much more to the region than saltwater and sandy shores. 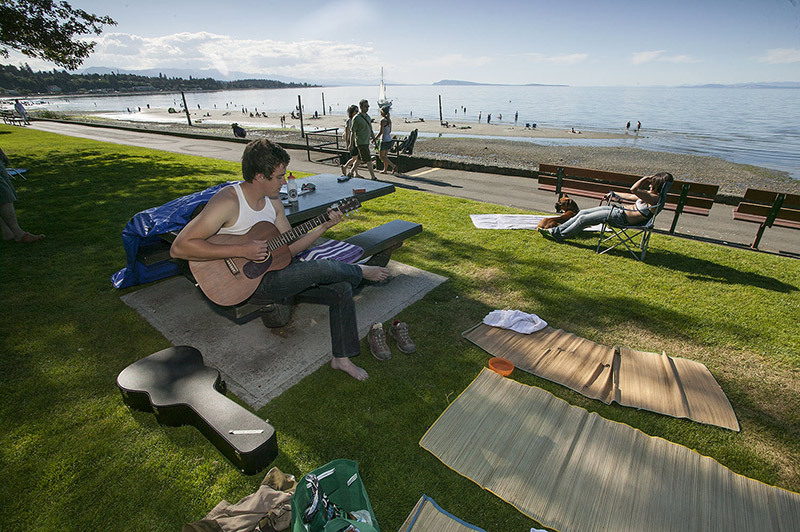 Parksville Community Park, is home to a remarkable sandy Parksville Beach, a kid's wonderland of swings, slides and water cannons in addition to great picnicking and beachfront choices. Stroll the waterfront boardwalk and take in one of the many festivals that set up shop here, most notably the month long Parksville Beach Festival featuring the Quality Foods Canadian Open Sand Sculpting Competition and Exhibition, that draws nearly 100,000 visitors annually during July and August. Qualicum Beach has its own classy brand of the shopping experience. Qualicum Beach downtown aka "the Village" has shunned franchise operations and big box stores in favour of one-of-a-kind boutiques. Wander the pedestrian-friendly streets in the lovely Qualicum Beach downtown core exploring unique shops, bookstores, antique shops, restaurants, outdoor cafes, and galleries. 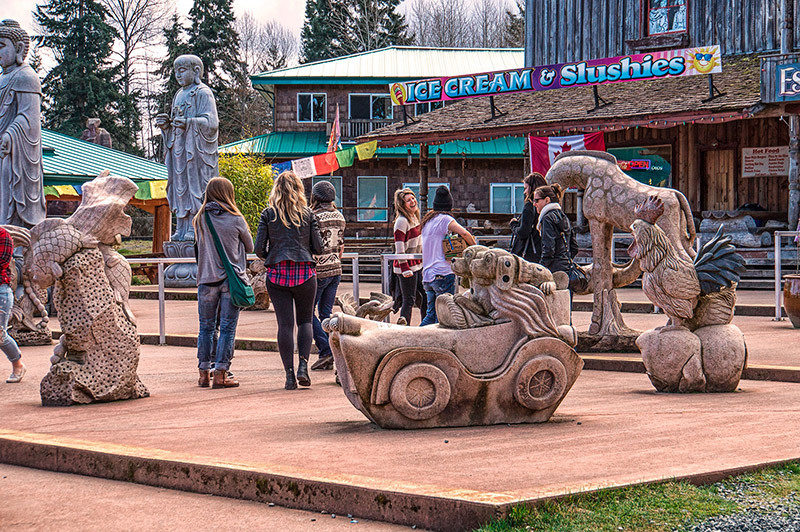 Take a drive to the Coombs for a one-of-a-kind experience complete with local and international foods, locally made and imported gifts, and a herd of goats on the roof. The market also has a restaurant, deli, bakery and ice cream shop and surrounding businesses hold unique and interesting gifts and clothing. 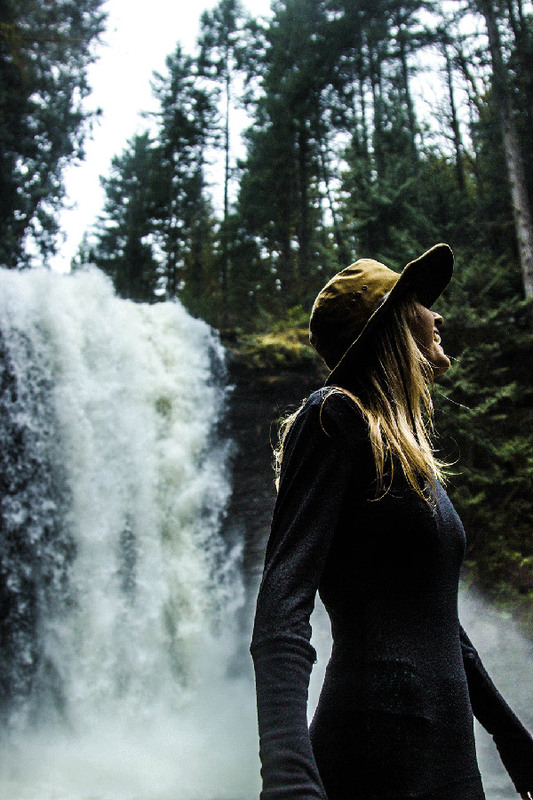 Spectacular views await at this picturesque Little Qualicum Falls Provincial Park filled with waterfalls, rock cliffs, shaded trails and swimming holes. Walking trails meander through the park, which straddles the Little Qualicum River. Cathedral Grove located at the top end of Cameron Lake, only minutes from Qualicum Beach and Parksville on Highway 4 just beyond Coombs. Cathedral Grove is a BC Provincial Park preserving a section of lush old-growth forest that is unique to Vancouver Island. Plan to spend a few hours wandering Cathedral Grove's trail system and gazing up at 800 year-old giant Douglas Fir trees. 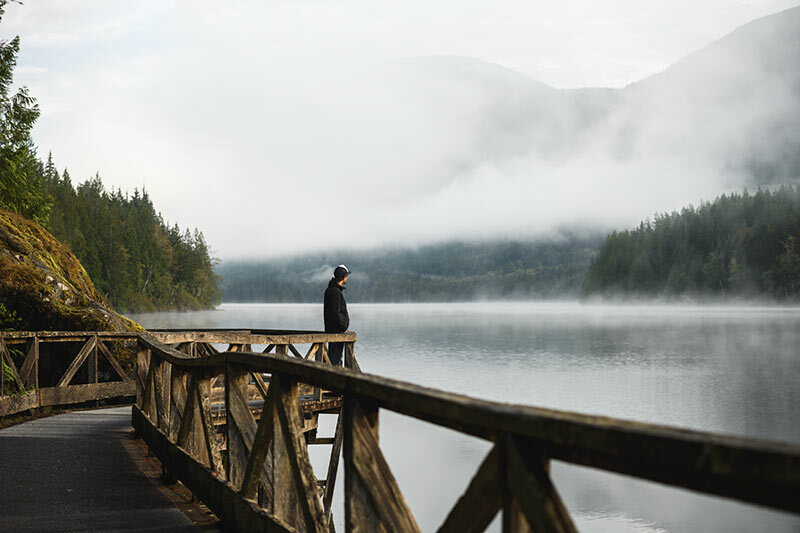 The Comox Valley is a place that inspires creativity, tempts the taste buds, soothes the soul and fires the imagination of adventurers and outdoor enthusiasts. 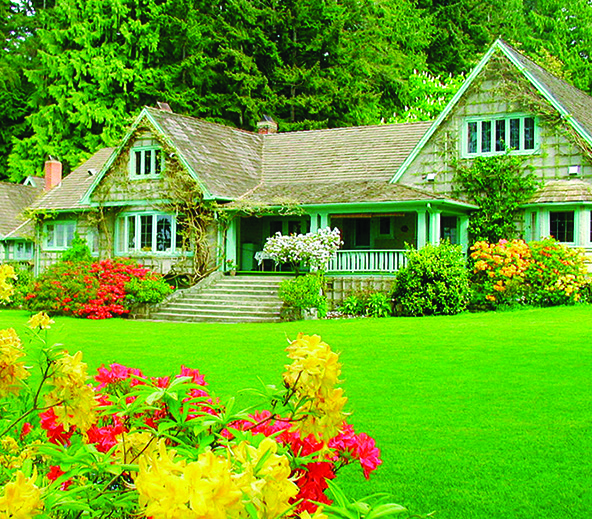 Situated halfway up the east coast of Vancouver Island, this community consists of three unique towns, Courtenay, Comox and Cumberland. The Comox Valley faces the sea and embraces the mountains, has the charm of a small town but with a touch of urban sophistication and taste. Carve down an alpine ski run with ocean views, nordic ski through ancient forests, scuba dive in crystal clear water, mountain bike or hike along glacier-fed rivers or sample delicious cuisine from the myriad of restaurants that support the local farm to fork and tide to table food culture. It’s all here, only in the Comox Valley! Enjoy the Island’s best views at this year-round resort which boasts some of the deepest snowfalls in North America. Over 1,700 acres of terrain await skiers and boarders and over 50kms of pristine Nordic trails flow through ancient forests in Strathcona Provincial Park. Fun for all ages! Cool down at Courtenay’s craft breweries, taste award-winning wines and experience artisan distilleries, where you can sample single malt whiskey or honey-based vodka and gin. Better yet, take a tour and let somebody else do the driving! Scuba With Pacific Giant Octopus! The waters surrounding the Comox Valley offer some of the most pristine, clear cold-water diving in the world. Multiple dive shops allow you to get under the water’s surface and discover the temperate, colourful waters of the Pacific. Over eight museums celebrating the heritage of the region await discovery. Explore cultural treasures of the K’ómoks people for a fascinating glimpse into First Nations culture and discover the history of early pioneering life and the paleontology of the region. The Coastal Circle Route is a driving itinerary highlighting many of the area’s attractions and activities, but how you choose to explore is up to you! Whether you’re taking a motorcycle, RV, your car or even a bicycle, you’ll be travelling on provincial highways that are well-maintained and road-trip ready. There’s no wrong way to start the circle route, so join in on this suggested itinerary at the place that makes sense for your journey. The route most often begins at Vancouver, British Columbia’s Horseshoe Bay Ferry Terminal. Travellers can follow the route in either direction, by choosing to set sail to Departure Bay in Nanaimo, or to Langdale on the Sunshine Coast. Visit BCFerries.com for current schedules & conditions. All ferries accept vehicles and walk-on passengers. Reservations are allowed on select sailings, and it is recommend that you allow ample time to make your sailing, especially during summer and holidays.